Melbourne’s MOD CON follows up its killer debut single ‘Do It Right Margo’ with a pointed and ferocious follow-up in ‘Neighbourhood’. The trio examines contemporary attitudes towards Australia’s Indigenous history, spotlighting and skewering the mainstream’s indifference to the plight of the First Peoples. It’s no secret that the vast majority of Australians are largely ignorant of our Indigenous heritage. There’s a map of Australia that plots out the multitude of Indigenous territories that exist, overlaying and intertwining with our own imposed boundaries. Most of us don’t know the name of the territory our homes reside in – we couldn’t even say where it started or ended. This general unawareness forms the basis of MOD CON’s latest single ‘Neighbourhood’ – a lamentation of our collective ignorance and the reality of having crucial pieces of history and culture destroyed. ‘Neighbourhood’ mixes mellow and frenetic tones throughout – peaks and valleys, quiet and, well, dissonance. Piercingly focussed guitar rips lend a sparkling weight to Erica Dunn’s vociferous vocals, while a composed low end and hypnotically staunch drum work stabilise the affair when it threatens to go off the rails. 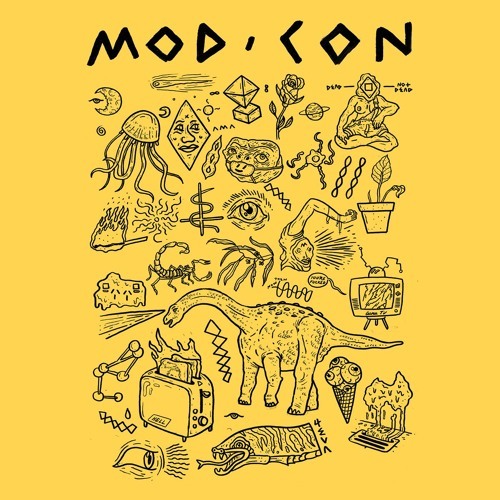 The music gives off enough of a menacing aura to know that MOD CON means business here (like you had any doubt), and it suits the subject matter perfectly. It captures your attention, which is good, because this is something worth hearing. The track is also accompanied by a remix from Melbourne’s Jacky Winter, giving the track a minimal dance-floor vibe without reducing the urgency. MOD CON will be launching the single on February 18 at The Grace Darling Hotel, with support from Jacky Winter and Eat Man.